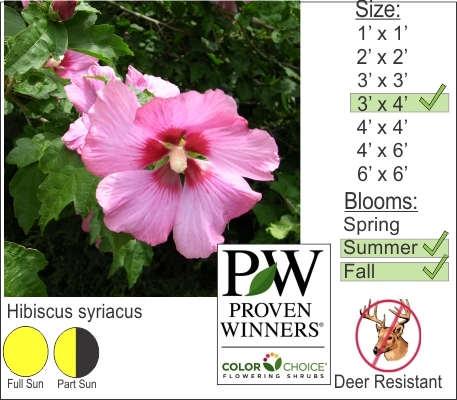 With an abundance of colorful tropical flowers, Rose of Sharon aka Hibiscus is a hardy shrub for the Hudson Valley. There is a difference between this hardy woody shrub that can over winter in the Hudson Valley and the soft non-hardy tropical variety sold at big box stores. Both Hibiscus are related to each other and both provide beautiful tropical flowers. Make sure to plant the proper Hibiscus for your home so that you can enjoy it year after year.